Provide comfort for the family of Marlene Hackett with a meaningful gesture of sympathy. 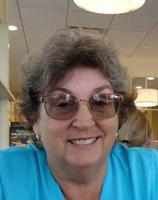 Marlene L. Hackett, Age 77 of Plant City, FL passed away suddenly on March 29, 2019. Born November 22, 1941 in Hartford, CT she was the daughter of the late Alfred Leon and Anna Mary (Maltese) LaFountain along with her siblings, Johanna (LaFountain) Soennichsen and Alfred LaFountain, Jr. Marlene graduated from Windsor Locks High School in 1960 living in Boston and East Windsor, she mainly resided in Windsor Locks and was a devout catholic and faithful member of St. Mary’s Church. Coming from a large French and Italian family, Marlene was a scratch cook making delicious family dinners literally out of nothing and without a recipe. She spent countless hours on her sewing machine, grooming the vegetable garden along with her faved lupine flowers in the perennial bed. An avid “tagger” she frequented estate sales, flea markets and auctions for her true love of refinishing furniture, collecting green, red, blue and pink carnival glass along with many other precious antiques and especially Wade Figurines. She enjoyed watching Wheel of Fortune, playing board and card games making home and family most important to her. She made countless life-long friends playing on the Windsor Locks Women’s Softball League and served as past President and Treasurer of her Bradley Bowl Women’s League. She also enjoyed summers camping at Sun Valley in Stafford Springs, riding on her golf cart with her faithful, furry friend Spike. Later in life she cherished time spent with her grandchildren and after retiring from Retail Brand Alliance, she and Ken moved to Plant City, FL in 2001. In retirement at The Lakes at Countrywood she served on the board of directors, was a member of the Home Owner Association and “GLOW” (Golden Lakes Organization of Women). Every year she attended the Florida Strawberry Festival, hulling strawberries and volunteering at the famous shortcake stand operated by St. Clement Catholic Church where she attended services. Weekly bingo (either playing or volunteering) at the clubhouse along with other countless activities, she again would ride on her golf cart this time with her faithful, furry friend Bandit. Above all, she never missed the opportunity to play a round golf, shooting a personal best of 37 along a hole in one. She is survived by her husband Ken of 35 years, two sons, Kevin L. Mockalis, wife Rebecca and Steven J. Mockalis, two grandchildren, Rachel Kathryn (22) and Brett Kevin (17), a brother-in-law Florin Soennichsen, her nephew’s Florin Soennichsen Jr., wife Gwen and David Soennichsen. Along with, her niece Karen (Lafountain) Williams, nephew’s Mark LaFountain, Alfred L. LaFountain, wife Corinne and daughter Gabrielle Noel, Charles M. LaFountain and Francis LaFountain with cousins Peter and Karen Maltese, their children Michael Maltese, wife Kristen and Brian Maltese, wife Melissa along with many other extended family members. 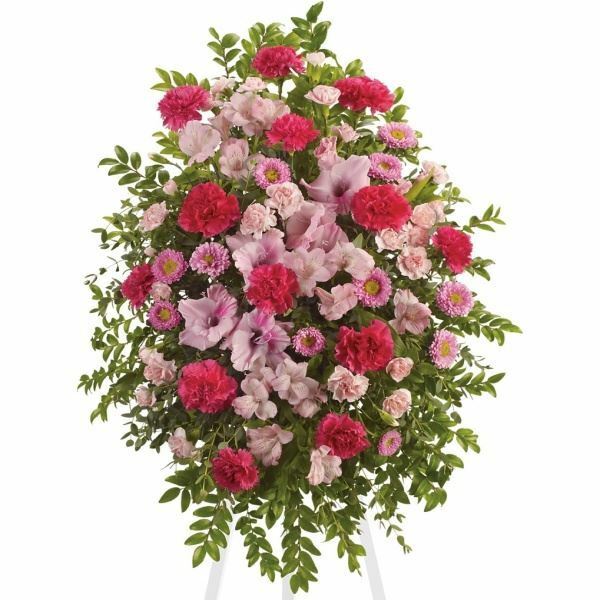 Many thanks go out to the Haught Funeral Home of Plant City, FL to ensure her journey to her final resting place at St. Mary’s Cemetery..
Love Joan Janczyk and Family, Bea Stone and Family sent flowers to the family of Marlene L Hackett (LaFountain). Love Joan Janczyk and Family, Bea Stone and Family purchased flowers for the family of Marlene Hackett.